Monaghan beat Down for the first time in 19 years in the Ulster Championship to take their place in the provincial semi-final at a sun-drenched Páirc Esler in Newry. They deserved their victory too with a blistering last five minutes when the out-scored Down by 1-03 to 0-02. Monaghan had been made to play catch-up for the early part of the second half as Down opened up a two-point lead with seven minutes left, but a goal from the excellent Ciaran Hanratty put them two points clear and on the road to a famous victory. The sides had been level eight times in the match but it appeared that Down had made the decisive move when they led by two points in the 63rd minute of the match. Much had been made of the two matches Down had played in the Championship already and the fact that Monaghan had not had a competitive game since the end of April. However, it was Monaghan who finished the stronger with Paul Finlay again proving his worth when his team needed him most, kicking three points in the last four minutes to settle any late nerves. 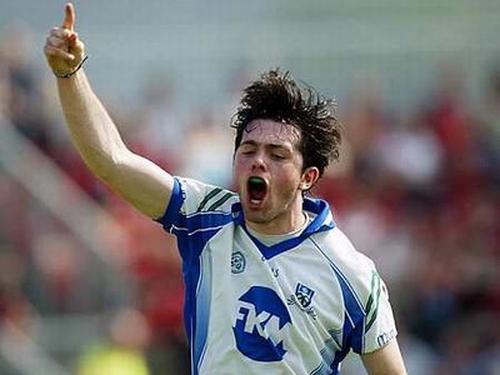 Monaghan were quicker out of the blocks in Newry and they cruised into a 0-03 to 0-00 lead after only six minutes. That stunned Down but they settled thanks to their very first score which was a Packie Downey goal in the eighth minute. Monaghan had conceded two goals in the first three minutes of their league semi-final against Meath but switching Vincent Corey to full-back steadied the back line and that goal was the only one they let in today. Ciaran Hanratty's first goal in the 22nd minute was crucial as it gave Monaghan a two point lead but they went to sleep and Down came back to lead by one point at half-time, 1-07 to 1-06. Down were the sharper in front of the posts after the re-start and on three occasions they led by two points only to be dragged back by the visiting team. That was the key point for Down. They could not build up a sizeable lead when they had that two point cushion. Monaghan were dogged all the way through and Seamus McEneaney and his back-room team deserve a huge amount of credit for getting the team back on track after the disappointment of the Division 2 League semi-final. Monaghan were only a point in arrears when Hanratty scored his second goal and with Finlay to steer them home, they never looked back. They beat Down in 1979 and 1988 on their way to winning the Anglo Celt Cup. They still have a lot of work to do to get to the Ulster final but today will give them great heart and it is going to take some team to beat them in the Ulster Championship of 2007. 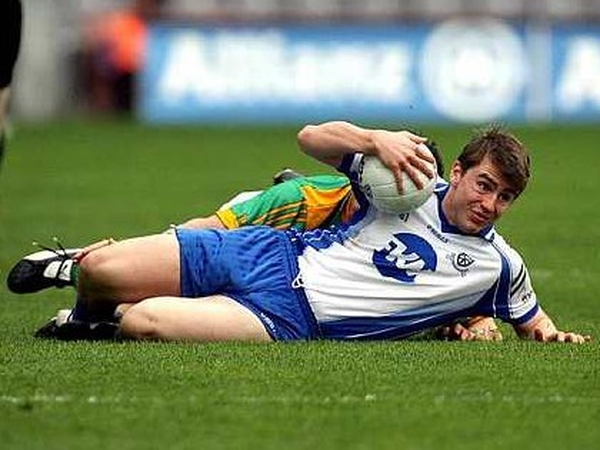 Monaghan: S Duffy; C Flanagan, G McQuaid, D Morgan; D Mone, V Corey, B McKenna; E Lennon, P Finlay (0-05, 1f); D Clerkin, S Gollogly (0-02), D Freeman; C Hanratty (2-01), S Smith (0-01), T Freeman (0-05, 3f). Subs used: JP Mone for D Mone, R Woods for Smith, C McManus (0-01) for Clerkin, D Mone for Gollogly, P Meegan for McKenna. Down: M McVeigh, J Clarke, D Rooney, K McGuigan, R Murtagh, B Grant, M Cole, D Gordon (0-01), P Murphy (0-02), J McGovern (0-04, 3f), A Carr (0-04, 3f, 1 '45'), R Sexton, D Hughes, P Downey (1-00), B Coulter. Subs used: M Walsh (0-02) for Downey, P McComiskey (0-01) for McGovern, S Kearney (0-01) for Sexton.